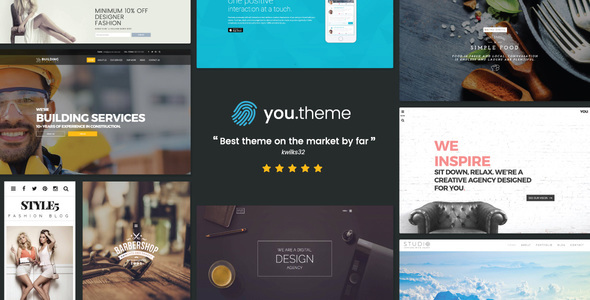 You – a premium responsive WordPress theme best suited for business, ecommerce, portfolio, photography & other projects requiring a WordPress template. If you’re looking to create a Personal Blog, News, Photography, Portfolio, Business, Amazon Affiliate or any other niche, You theme has every tool you need. You can create a design from scratch or customize any of the default demos. Unique Functionality like FlexiShapes, Typewriter and much more. If you’re looking to use You Theme for a photography website, checkout this guide on why the You Theme is great for pro and beginner photographers. - Two New Preloaders, plus option to disable.